You have probably heard this a hundred times before that “Content is King” and there can be no doubt in that. To build a successful blog you must ensure that you deliver quality content when publishing a blog post. Create posts that provide value and information they can’t find elsewhere. A good use of Search engine optimization then makes sure that your articles are being indexed and ranked high enough for your content to receive organic search traffic. How do you know if your posts are of a good quality and that they are optimized for search engines? 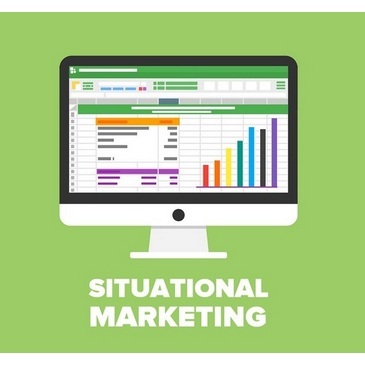 You start to get a real feel that the content you are creating is good when you begin to get social shares and blog comments and when Google starts to send you organic traffic. 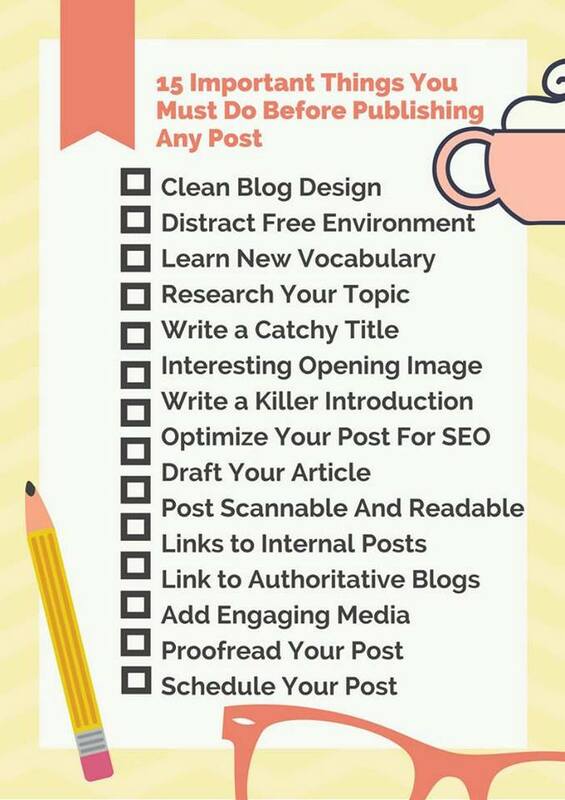 This article provides you with a handy 15 step things to do checklist that you can reference when publishing a new blog post. Your blog design provides a lasting first impression for your readers when they land on your newly published blog. Although the design of your blog is not something that you have to deal with each blog new post. It is a crucial first step to ensure that you have clean and simple blog design. Your blog design and the way you display your ads, newsletter, subscription forms, social media accounts, and other elements should not distract your reader from reading your post. In order to give full focus to writing your content, you need to have a distraction-free environment. Below are some blogging tips that will help you choose the best environment when publishing a blog. Turn off emails, social media notifications, and your phone. Have some music playing in the background. Grab a cup of tea or coffee. Surround yourself with whatever else makes you comfortable. Using the same words over and over makes your post boring. You need a good mix of word alternatives when publishing a blog post that are related and describe the same thing. For example, use a mix of post, article, and content instead of using post word repeatedly. Try to learn new words and use them within your post and see how it will make a difference. If you have a post idea and before you even start drafting it, you need to read other peoples views on the same topic. Read at least 5 blog posts to have a clearer picture of the topic you are going to write about. Also, you need to get your facts right before publishing a new content to your blog. Including facts in your post makes them more trustworthy and more appealing. Be sure to give credit whenever needed. Your post title has a great influence on your reader’s decision to click on your link and read your blog post especially when you are sharing your post on social media. Questions: Example: Yoast SEO issue – Are you affected by this SEO problem? Your title should be relevant to our post. 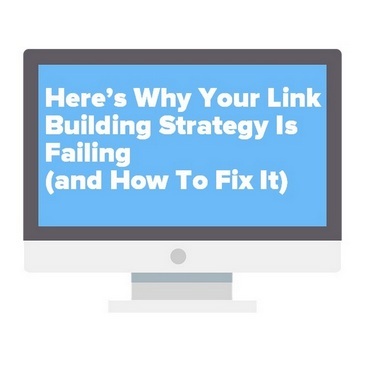 You don’t want to deceive your readers to click your links. If they click through and then find out that your post is not actually about what they click on for, they will never click your links again. Don’t forget to optimize your title and make sure it is less than 60 Characters. One way to make sure you nailed it with your title is to check it with CoSchedule Headline Analyzer tool. Have you ever looked at a home from the outside and thought you must sneak in and have a look at the home from the inside? In the same way, your opening image can tell a lot about your blog post and create an increasing interest for your readers to read your blog. Don’t forget that your opening image should be relevant to your post topic. Do not just use any fancy image that you find online just because it looks good. It might look good on its own but once you insert it in your post it becomes a red flag for your readers that you don’t know what you are talking about. It’s great that your reader decided to click on your title, your image looks interesting as well; now it’s your chance to convince your reader to actually read your post. The better your introduction the longer your reader will stay and read your article in full. Add value: Why do you think your reader should read your post and what he will gain from it? List facts: The best place to list facts is in the introduction. Ask questions: questions which the reader will find answers to in your post. Write conversational dialog that encourages the reader to read your post and then comment on it. As you read through this post that you will see an example of how you need to make your blog readable and scannable. 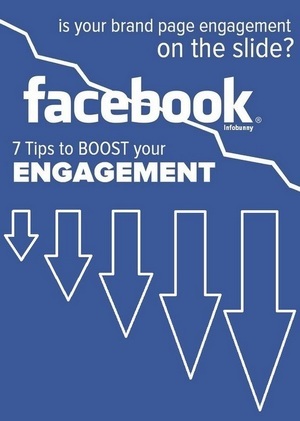 By doing so you are optimizing your post for your readers. In the same manner, you need to optimize your post for search engines by following the tips below. Add your keyword in title, Meta description, an introduction. It is a common practice to include your keywords in the title, Meta description, and your introduction paragraph. If you are using your keyword in your title and you are setting Permalink structure to Post name, then your keyword will be automatically available in your Slug. If not add your keyword to your slug. A good SEO practice is to make your Slug user-friendly and short. a common practice is to use a shorter optimized Slug. Rename the filename of your image and video to your keyword phrase. Like [keyword-phrase.jpg]. Set the ALT text to the keyword phrase. Use caption on images if you want to highlight information related to the image and not included in your post text. Use plugins to reduce the size of your images and videos so that it loads faster. Now it is the time to start writing your post content and create the style of your post. Don’t forget to use Sub headlines using H2 and H3 tags. Most internet users will scan your posts looking for useful information. You need to make sure your content is easy to scan when you publish a blog post. You need to highlight your useful information and make them shout “here I am come and see me”. Write short paragraphs. Break big chunk of texts into smaller pieces. 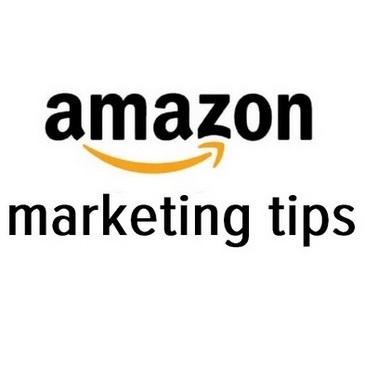 Use bullet points and lists when needed. Use bold or italicize to highlight useful information. Not only will Google will love you for doing so, your readers will love it as well. Your aim is to grab your readers for as much on-page time/site time as you can. Linking to relevant valuable information on your site can keep your readers longer and increase your page views. Make sure to set your links to open in a new window, your aim is to make your readers read both articles. You don’t want the reader to be redirected to the new page and then click back to finish the first article. Nor you want him to keep reading the second article and forget to finish the first one. I know that it is a scary thought to link to other blogs as we fear to link to our competitors, we fear to lose readers; but linking to authoritative blogs will actually help you gain the trust of Google, your readers, and authoritative blog owners. 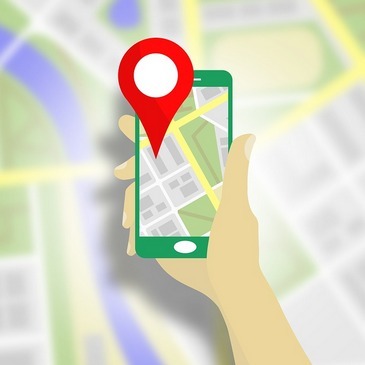 Google doesn’t like dead-ends, linking out will continue the flow of traffic as readers will click to continue reading related posts. Your readers will trust you more as you link to other blog posts. They will keep coming to your blog as they know they can find what they are looking for and that they can find more in-depth resources linked to from your post. You will be able to build a relationship with blog owners that you link to, and they might even share your post through their social media accounts. Adding a mix of relevant images, videos and infographics can make your post more engaging and provides your readers with many ways to grasp the information you want them to learn about. Make sure that you have the rights to use the media you want to include in your post and add credit when required. You can also create your own image with this free tool called Canva. Read on to learn how you can create your own images with Canva. No matter how confident you are with your writing skills, it is very easy to for spelling, grammar, and capitalization errors to slip through. Read your post once and twice to make sure there are no errors while doing so you might even get new ideas to add to your content or elaborate more on some points. Each time you proofread your article you are one step closer to making it perfect. You can also ask a friend to proofread it. I would assume at this point that you already have a posting schedule, don’t just write your posts on the fly. Having a posting schedule will help your readers know when they should expect your posts and will give you the time to research your articles and keep making them better. Writing quality content and optimizing your posts for SEO is a sure way to increase your blog traffic. Follow these steps with each blog post and you will see a difference in your readership and an increase in organic traffic. Once your post is published, do not sit back and wait for readers; go out there and grab your readers. Share your post on your social media accounts. Share your post on social bookmarking websites. Email your new post to your newsletter subscribers. 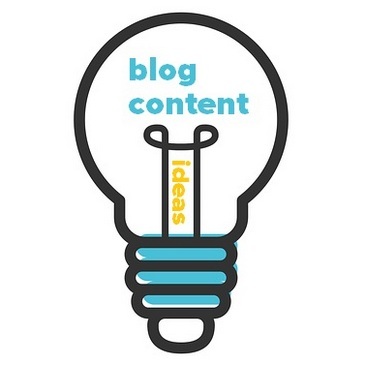 Comment on 5 blog posts with a link to your latest blog. 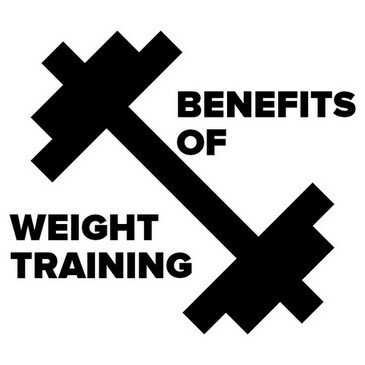 I hope you have found this article useful, please let me know in the comments section below. 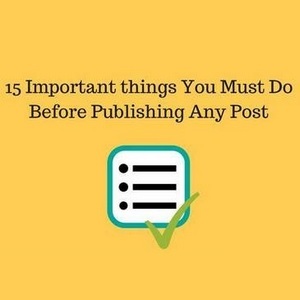 Here are 15 things that you should do before publishing a blog post. You have probably heard this a hundred of times before “Content is King” and there is no doubt in that. Thanks for posting such as relevant article. Your blog is a first impression for your readers when they land ony your newly published blog. Blog is a trending way to serve your services. 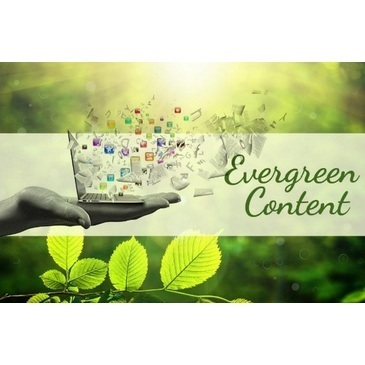 your blogging content should be good quality content. before posting your blog read your post once to make sure there are no errors. it should be contain all needful information related to your business. here i have seen some really intersting things to do that i can make my blog more visible. Indeed, thanks for your insight and your visit. Another interesting post you have here. In many of my post, I have always highlighted the need for an irresistible headline for your article. A headline can make or break your content because it is the first element of your article that your readers will see when they visit your site. So crafting a remarkable headline will help you get more clicks and drive massive website traffic. The second component to consider is your intro. How compelling is your intro? Just as your headline attracts readers, your intro will help stick and read the entire article. Indeed, title and intro are important factors for getting more traffic and longer reads. Thanks for your comment. Q good to see you here bro. Amazing how cleaning up my blog design helped me feel clear on BFP. Minimalist now. 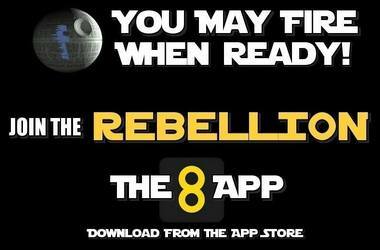 I promote my eBook via sidebar and trashed all else. Ditto for clean posts too. When you publish, make sure you feel clear on the clean-ness of your blog. Difference maker for increased blog traffic and greater blogging profits too. Indeed a clean blog design makes your post easier to read and your call to actions stand out. Thanks for sharing your experience. some great tips here, i especially like #5. I think that the breakdown makes sense. never thought of it like that before. Thanks for your comment, glad you find it useful. SEO is really not that easy. I am glad that i learned a lot about your post. Thanks for sharing. One of the things I do before hitting the publish button is trying to tweak the introduction. I do title research, proofreading, internal linking before publishing but I do believe post intros has a huge impact on bounce rate and dwell time so I don’t joke with this. 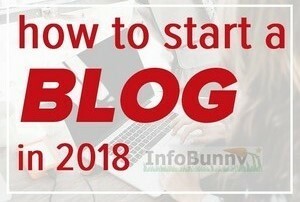 Indeed bro, I have read a great article on your blog on how introduction make a huge impact, and how to write the best introductions. Number 10 – making your article scanable is so critical! Most people won’t spend the whole time reading it word for word. You need to make the scanable elements of the article enticing enough that if they scroll to the bottom in scan model, they then choose to go back to the top and read it properly. Excellent checklist. These are great reminders for all of us. I keep forgetting to link out to authority blogs. Bummer! Thanks for the reminder. Awesome checklist! Linking out to authoritative blogs is definitely the key, to ranking well in the SERP’s I read it somewhere else and now this will be one of my go to strategies. Thanks for sharing and keep posting more.